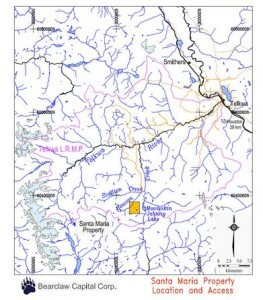 The Santa Maria property is located in central BC, 37 km south-southwest of Smithers. 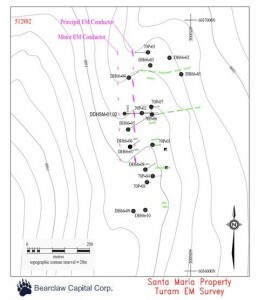 The property hosts base and precious metal mineralization in Eskay-type and aged rocks; however recent lithogeochemistry has determined that rocks do not have the Eskay-style signature. The Santa Maria has been explored by geological mapping, soil sampling, EM, SP, and IP surveys, trenching and 2600 m of diamond drilling in 21 holes, as well as minor historic underground exploration. 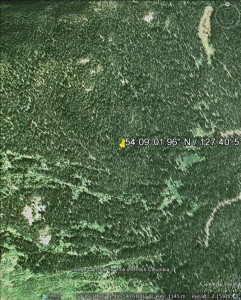 The MTO tenure 9512882) covers 677 hectares and is in good standing to 2016.03.03. 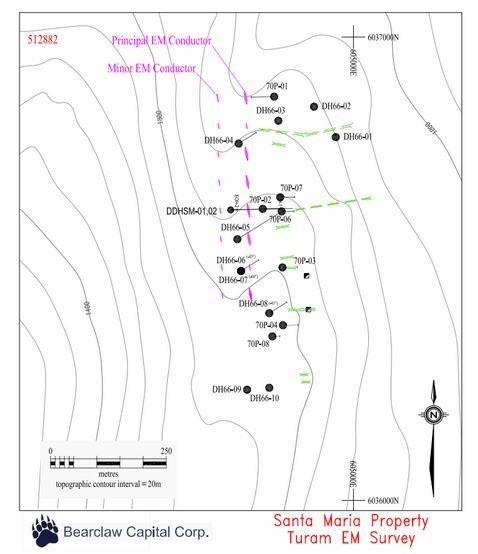 Exploration work on the Santa Maria (Minfile 093L 063) has mainly focused on 2 mineralized horizons, referred to as the “Santa Maria Vein” and the “Footwall Vein”. At least 4 others mineralized horizons are known. Mineralization consists of chalcopyrite, chalcocite, bornite, tetrahedrite, malachite, azurite and pyrite within a silicified zone of quartz veining and breccia.